I am standing in front of a pile of digested manure solid after it has been processed. one of these piles is generated per day and trucked out of the yahara watershed. I recently toured a Manure Digester with County Executive Joe Parisi, Director of Policy and Program Development Dave Merritt, and John Haeckel of Clean Fuel Partners. Clean Fuel Partners purchased the digester in 2015 in the Town of Vienna just outside Waunakee, and it is privately operated on a lease from Dane County. The holding tanks here are filled with liquid manure and covered. The covered tanks do a good job containing any odor. Manure is pumped in from three adjacent farms to the facility. The volume is approximately 150,000 gallons per day. This manure is in primary liquid form with different viscosity levels and is mixed together. After it is mixed together, it is put into one of two operating tanks where it naturally breaks down over a period of 25 days at 100 degrees (there is a third tank as well, but it is not efficient to run all three due to generator capacity). The natural gas from this decomposition is captured and is used to power two different one-megawatt generators. The energy is then sold to utilities under the terms of power purchasing agreements. Two one megawatt generators are pictured here that produce energy by burning the methane. The two generators are pictured here, and I will tell you, they are really loud when you open the doors and take a peek inside. The decibel levels when the doors are closed during normal operation are much quieter. Once the manure is broken down in this 25-day process, it goes through a centrifuge, where it is separated into a liquid that is pumped back to the farms and into a Digested Manure Solid material (CF Fiber). The big pile of solid material I am standing in front of in the picture (Digested Manure Solid) is then trucked away to different locations outside of the Yahara watershed, where it can be spread on farmland or used as animal bedding. This phosphorous removal process is one of the many ways to create a healthy Yahara watershed and keep the phosphorous out of our lakes. Not all of the phosphorous is removed. In the liquid that is pumped back to the farms, approximately 40% of the phosphorous still remains. A semi and a loader pictured here help load and haul the Digested Manure Solid out of the watershed. Every day, about one pile of the Digested Manure Solid material is generated to be trucked away. 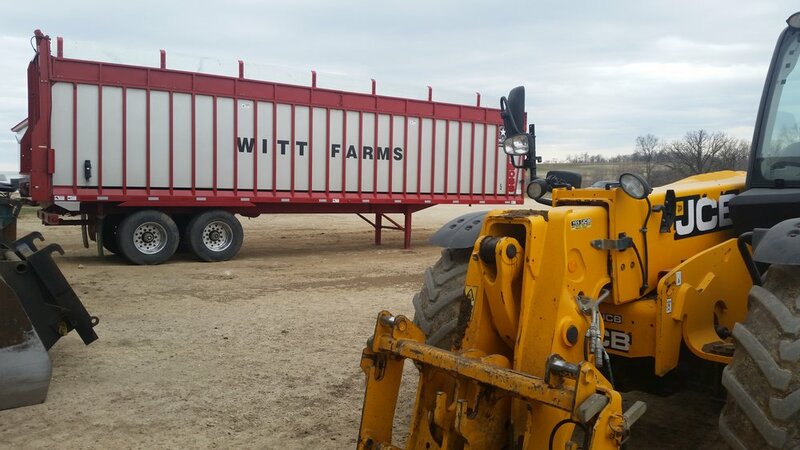 This material is significantly lighter than liquid manure, and can be moved more easily and taken to where it can be used as a farming input or even made into fiber board. The county is working on a Nutrient Concentration System process that will take the liquid run-off from this process and further separate it into potable water and concentrated phosphorous by using a centrifuge coupled with filtration and reverse osmosis. This Nutrient Concentration System will provide even more phosphorous removal and a greater environmental impact. I am learning more about this process, and will provide updates as I have them. Manure digesters provide clean energy and also remove methane gas from the air as the manure decomposes and the gas is captured. The economics on the energy generation side are challenging, and are affected by power purchase agreements. Due to these factors, there is a new strategy to capture the natural gas from digesters and transport it to an exchanger so it can be sold as natural gas rather than provided to the grid as an energy source. This is a promising development as we look to make these projects more economically viable. 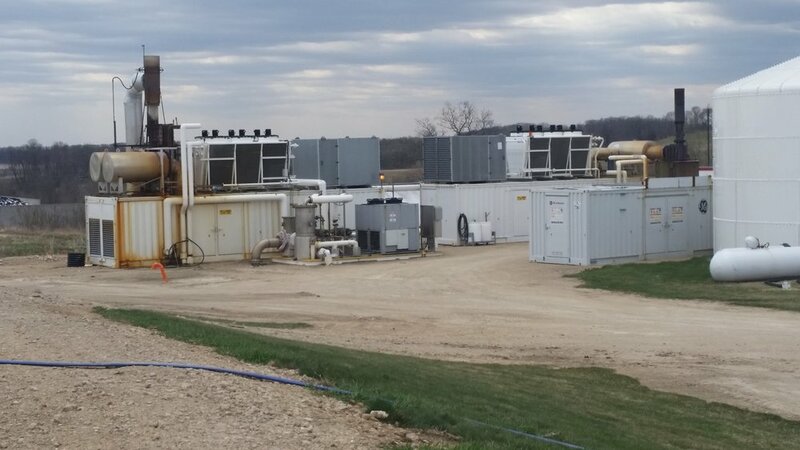 The county is putting out a Request For Proposal (RFP) to study where else digesters can be placed in the Dane County, and what economic models will work best. We need to monetize phosphorous with innovative projects like this, and if we can generate a sustainable economic model, it will be one of the many approaches that we can take to clean our lakes. As with all new technologies, there have been challenges. Going forward, I will work with county staff and elected officials to push innovation and expansion of digesters so we can protect our environment and natural resources. This post had many technical details. I look forward to working subject matter experts, engineers and scientists and I will update it and correct it if needed.